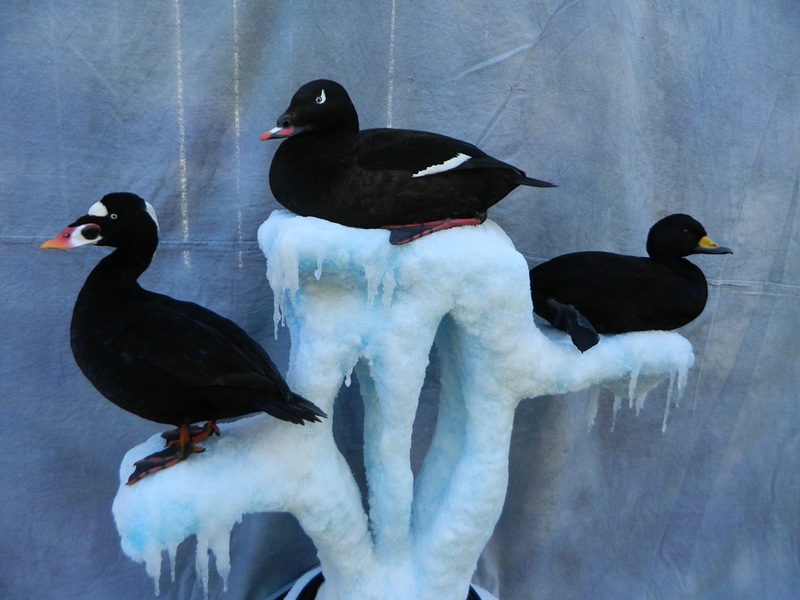 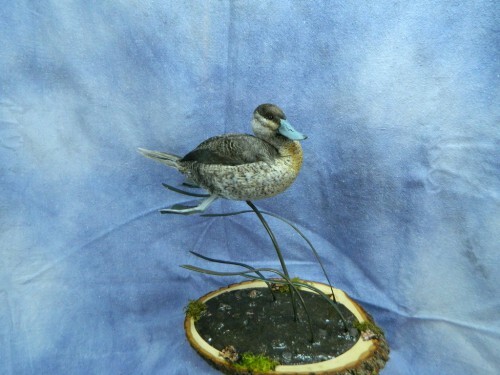 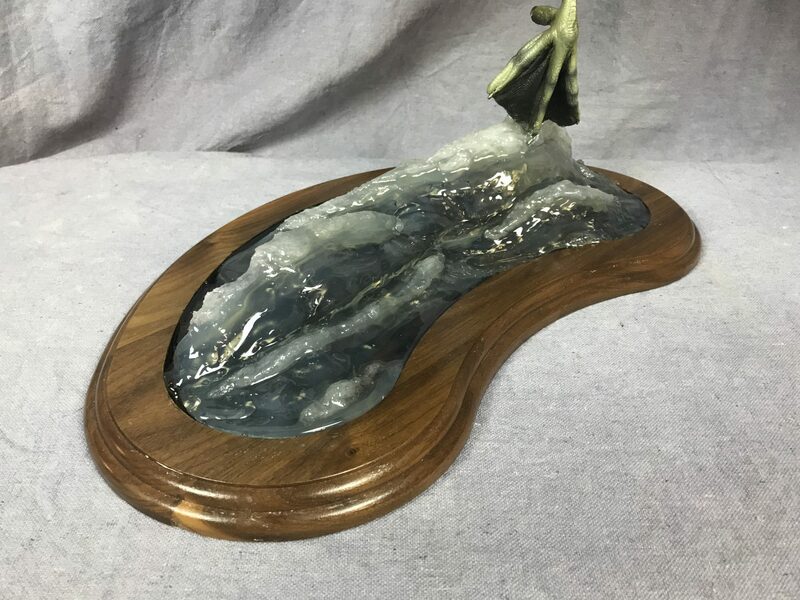 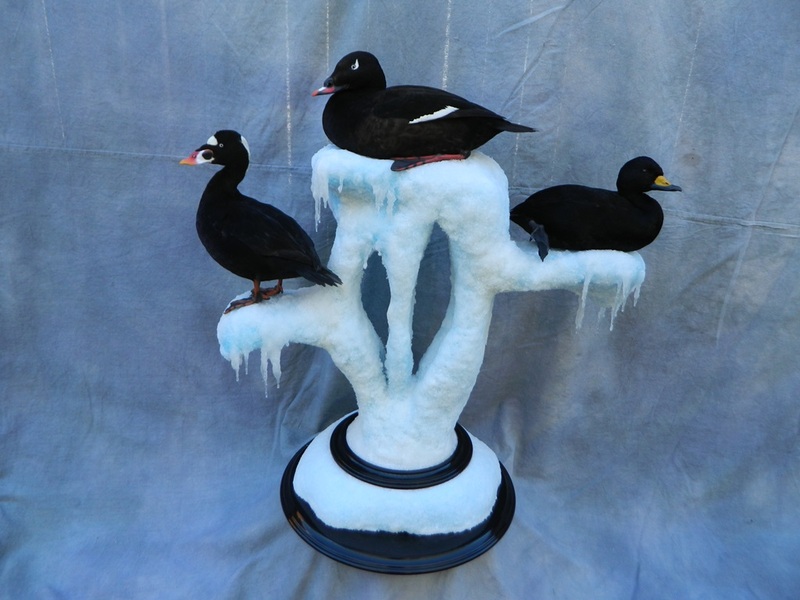 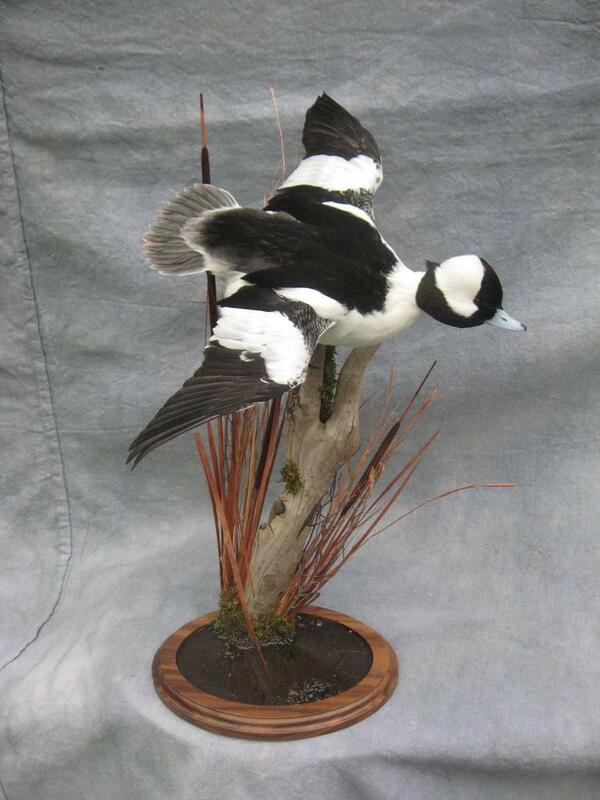 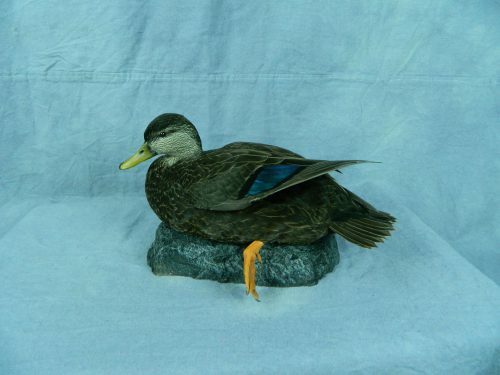 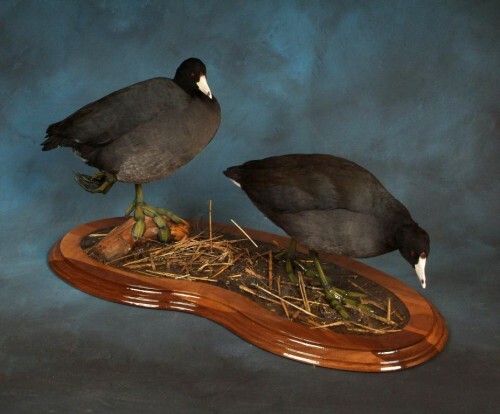 Call 605-228-0661 for Showpiece Taxidermy - your national award-winning duck mount taxidermist in Aberdeen, South Dakota. Our experience mounting waterfowl spans duck species all over North America. 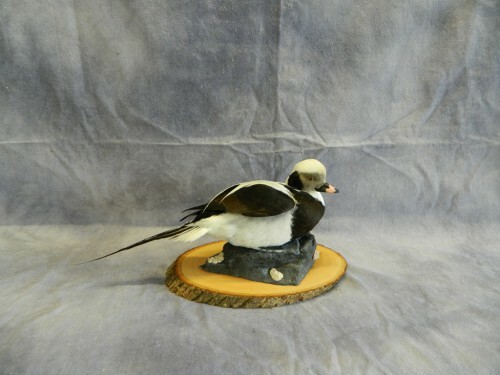 No matter where you live, you can ship us your duck or goose to get an award-winning mount. 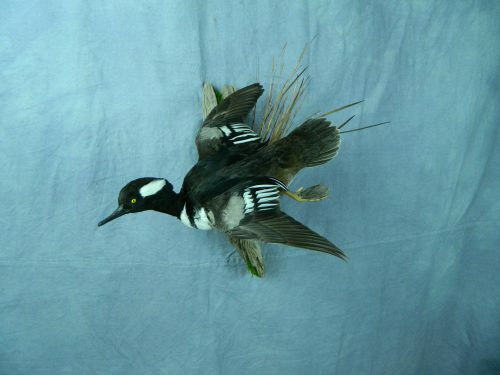 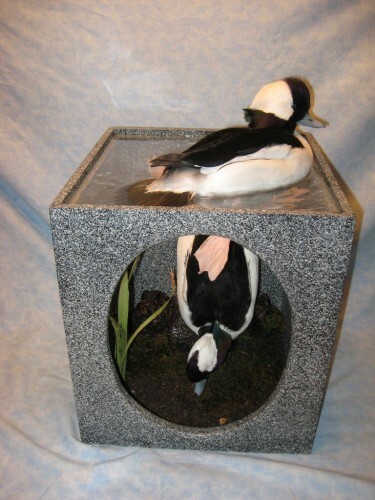 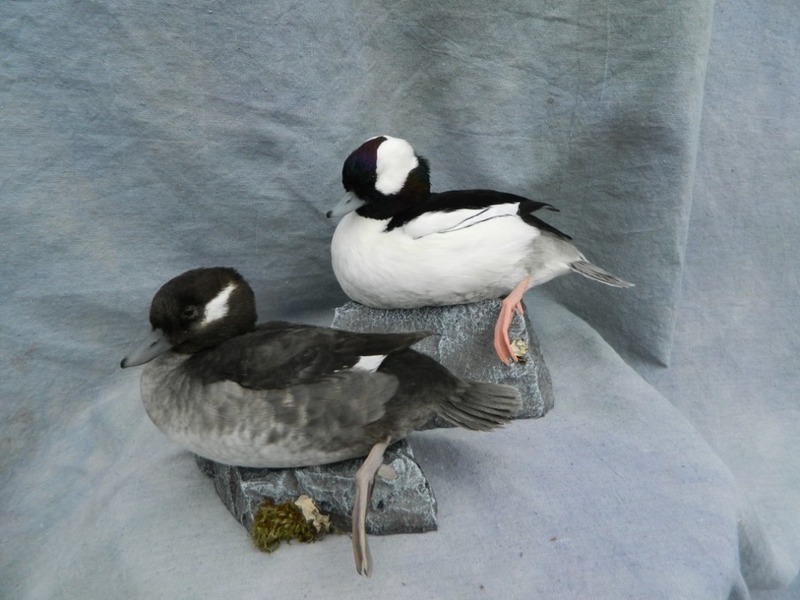 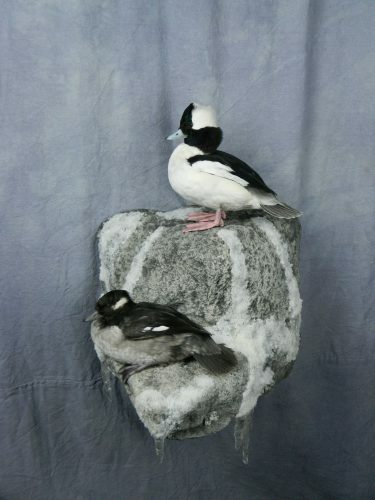 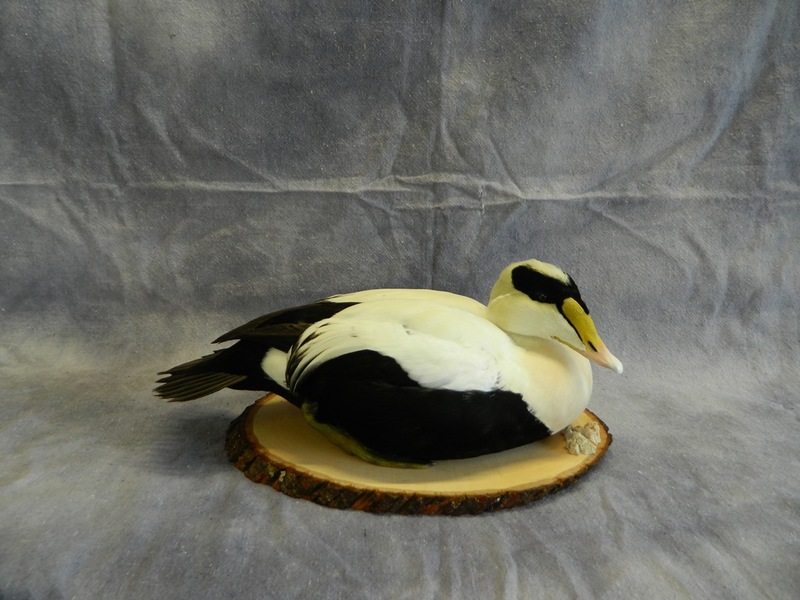 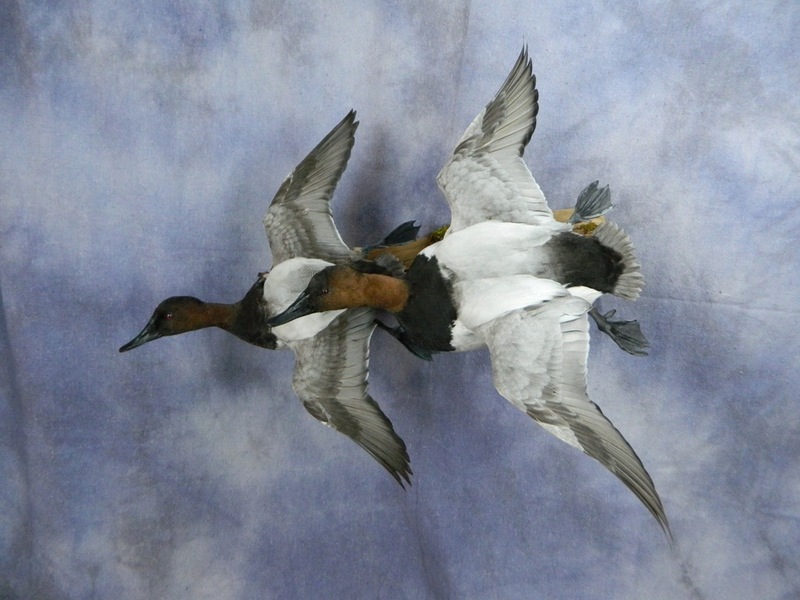 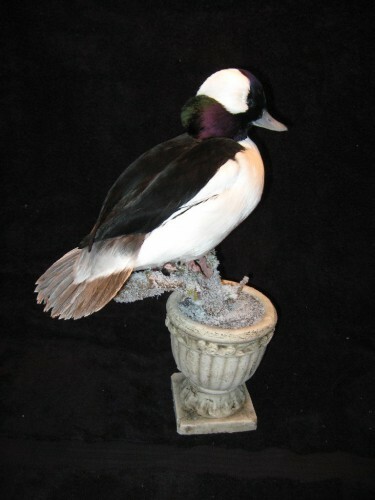 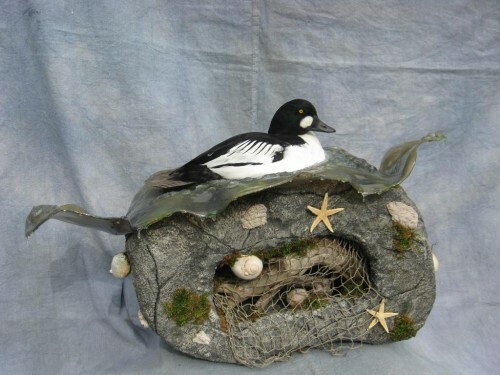 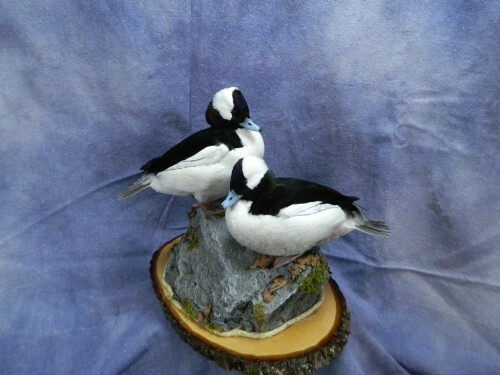 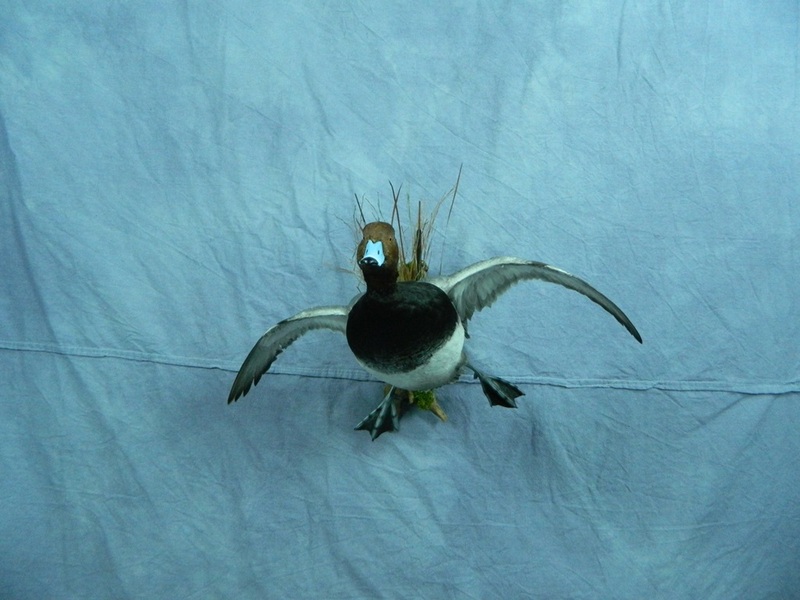 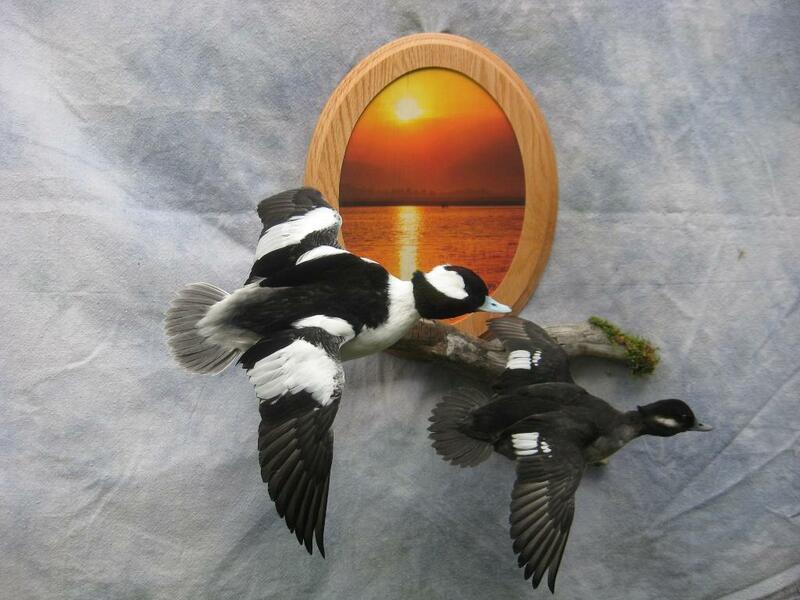 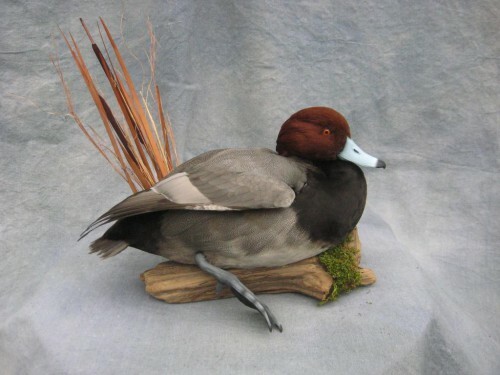 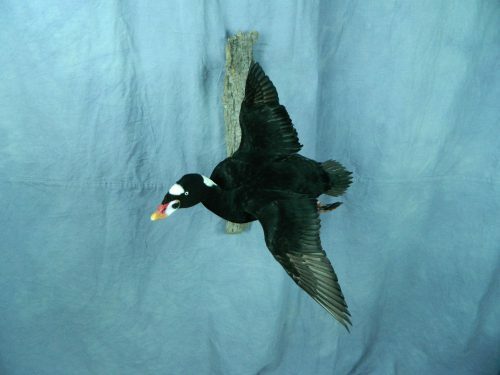 Take a look at our bufflehead mounts, redhead mounts, canvasback mounts, eider mounts, and more. Let us know how you want your trophy to look--our taxidermist can make it happen with a variety of custom habitat and poses. 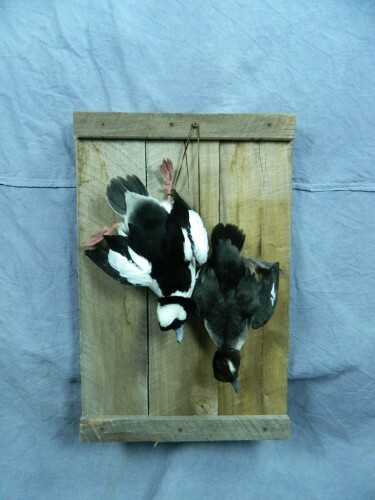 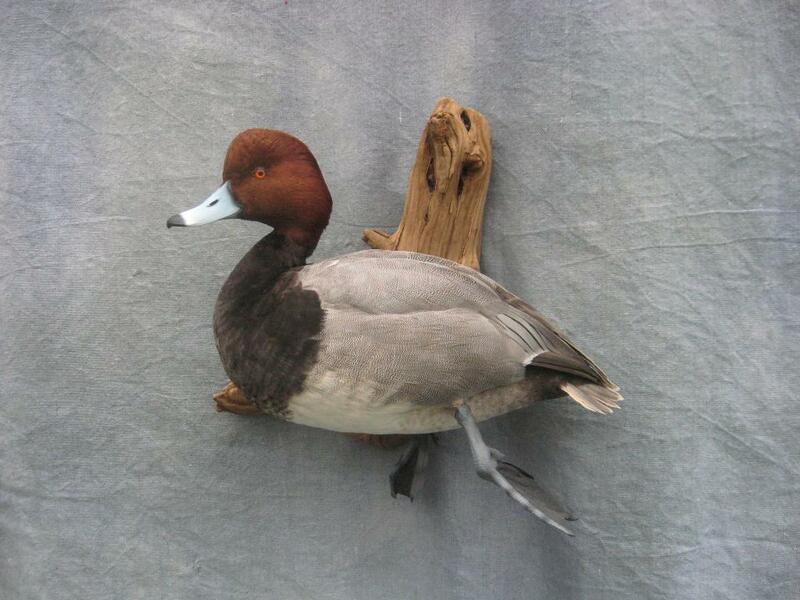 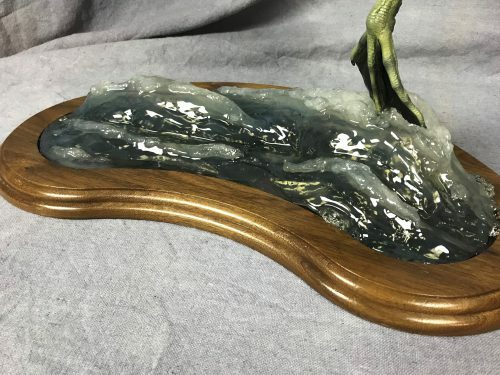 Take a look at our dead and hanging duck mount poses. We can also acquire and mount pen-raised birds to suit your needs. 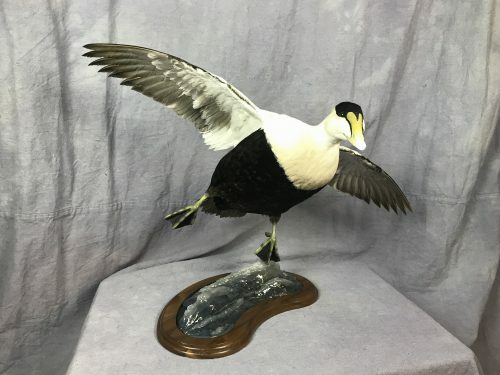 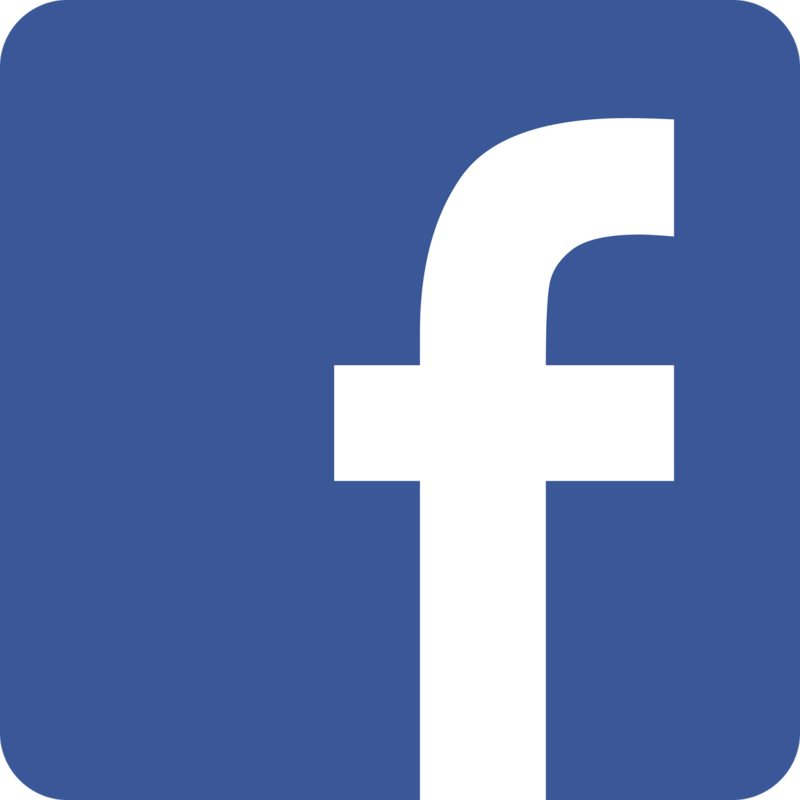 Tap or click one of the images below to see high-resolution photos of our diving and sea duck mounts - we've got nothing to hide.